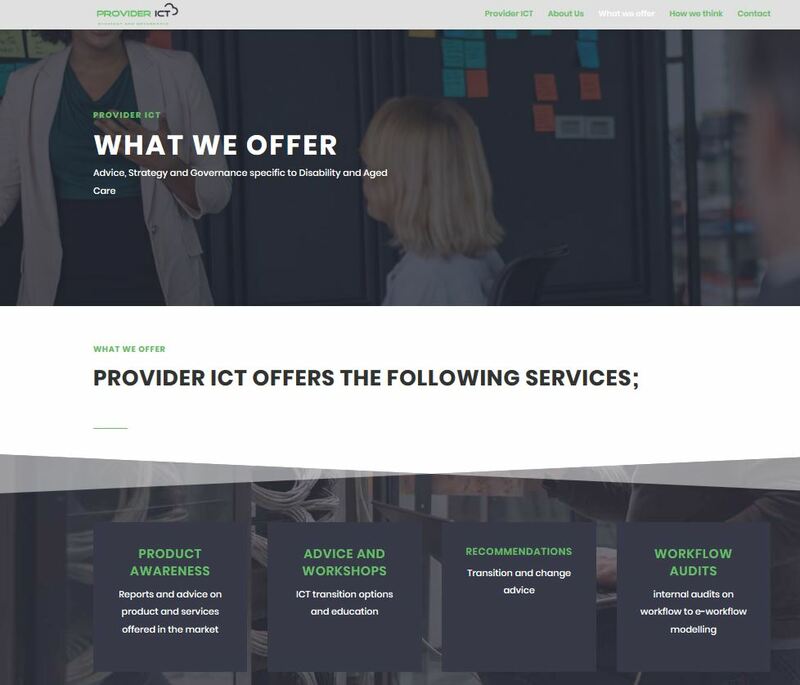 Povider ICT contacted Website Adelaide and needed a website for their new business. With a very short delivery time we managed to execute a great website that is a very good start for the new business. 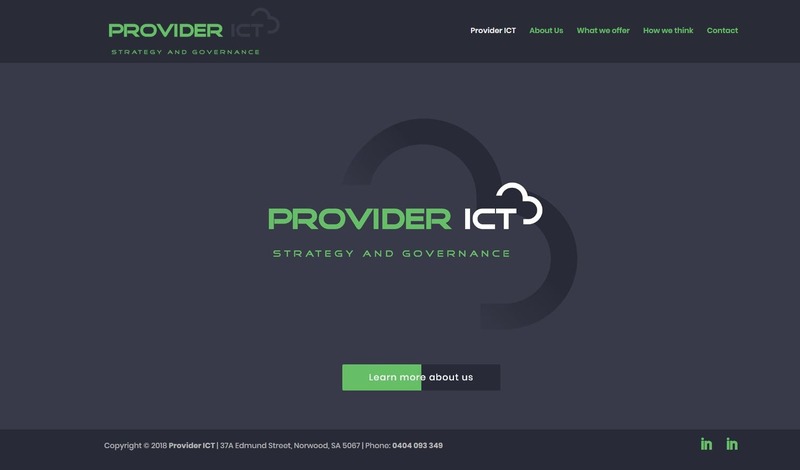 Provider ICT was a newly founded consulting firm which needed to take-off in a big hurry. I had less than three weeks to organise everything and that included a fully operational website already introduced to the marketplace. Jarka was presented with a registered domain name, all the content, general look and feel, some structure and some graphics for the site. Within 9 days the site was up and running, which meant I was able to promote the company on LinkedIn and other forums for marketing etc well before my three weeks window closed. The site itself was fresh, clean, well-structured for the first visitor and above all a pleasing experience to browse. Site analytics show that most people stayed and browsed around, even downloading PDF content. This is a winner for me and what I need to accomplish. Aesthetically, the site looks great. The balance of white, dark charcoal and green really sets a mood. Jarka did a marvellous job of blending-in the graphics and she added some great images from her own stock to match the content. Seriously, what more could I ask for! One of the surprising aspects of my experience with Website Adelaide was how much input I didn’t provide. Jarka seemed to know what I wanted based upon initial conversations, some e-brochures, business cards and a single page site mock-up. It didn’t take long and Jarka had a few pages for me to proof. From there it was completely hands-off for me until I saw the near complete site just prior to being online. Without hesitation I would recommend Website Adelaide and I highly recommend investigating them as your first option.